Whether it is building a brand identity for your business or designing promotional materials for the upcoming campaign, you need good interior designers to create stunning, inspiring and effective promotional materials for your company. These materials have a huge impact on building your brand identity and establishing your business in the market. So it is important to choose the right graphical designer for your company. If you are searching for such an agency to help you in your branding efforts, you can you can find one from this list of top 10 graphic design companies in Chennai. Nikitha offers a slew of digital services including branding, web design, digital marketing, and graphic design. They have more than two decades of experience in this field and did thousands of projects. Nikitha has an amazing portfolio of logo design, package design, and other advertising material design. They have dedicated photographers in their agency, and it gives them an advantage. Graphical designers the photographers discuss together and decide how the photo should exactly look like. In most of the agencies, designers would struggle with the photos given by the company but here that is not a problem. Nikitha can help you with your branding efforts and build a perfect brand image for any kind of company. X Media Solution is one of the most affordable graphical design companies in Chennai that helps small companies build a unique brand identity. This company claims that they have successfully completed over 2000 projects and served over 500 foreign clients within 10 years since its inception. Although they are one of the best graphical designers, X Media Solution identifies itself as a web design agency. However, they also retain an excellent team of graphical designers and branding professionals to help their clients in all stages of building brand identity. This agency gives emphasis on smaller companies and boosts them with creative branding strategies. Get Noticed is one of the few agencies in Chennai dedicated to branding alone. They create designs for both branding, promotional and advertisement materials. The company follows a very clean and modern design in their works. They give importance to the creativity as well as the aesthetics of the design. This agency is the best options for companies that look for an ultra-modern brand identity for their company. Their designs are of a premium quality which is good for an established brand. The typography in the brochures and other printing materials are really awesome. They also got excellent copywriters in their team who create captivating and thought-provoking copies of promotional materials. Media Max gives emphasis to concept-driven designs. It is established in 2002 and became a reputed agency in Chennai within a short span of time. They help companies to reach target customers with attractive promotional materials. Like Get Noticed, Media Max also follows a clean and modern style in their designs. The website of the agency itself has a modern design which makes it unique among other graphic design agencies in Chennai. They analyze the customer behavior of their clients before starting the designs to give the audience a great experience. They create stunning designs which would grab the eyes of the audience. Aakkam Creations is another creative graphic design company in Chennai. They offer several ranging from branding to web development. This company was established in 2006, and they only served domestic clients so far. This agency also helps established as well as new companies to make an impact on the market with powerful branding strategies. They follow unique styles in designing graphical elements for promotional requirements. They have talented copywriters and photographers to create the best content for their works. The website of this company has a creative design and highly unique. This agency is another great option for local businesses in Tamil Nadu. Design Bucket is a budget-friendly graphic design company in India. Design Bucket is a well-known agency in the graphic design industry in Chennai for their highly professional branding and graphic design services. They maintain highly qualified professionals on their team to ensure excellent quality in design. They are highly flexible in the branding package and do customize the projects based on the unique needs of the clients. This agency claims that they can provide cost-effective solutions for companies on a tight budget. Therefore, this agency would be a great choice for small companies with a limited budget for branding and promotion. A premium quality design is the hallmark of Fine Line Graphics. They maintain excellent quality throughout their projects and help their clients to build an admirable brand identity. They have more than 20 years of experience in graphic designing and served more 850 clients all over the world. The company helped hundreds of companies to rebuild their brand with new brand identity and increase the sales into many folds. This agency gives importance to meaning and relevance in the design which makes it attractive for the audience. Their package designing helps their clients to make their products packaging into international quality. They follow the latest standards in the design to ensure their clients can compete against global brands. Although Creative Bee Studio is primarily a web design company, they also have an outstanding team of graphical designers. They design all kinds of branding and promotional materials for all kinds of companies. They create logos that really represent what the companies actually do. They also give special attention to make the logos reflect the character of the companies. In their portfolio, logos and package design are of world class. They are captivating enough to grab the attention of the buyers and get connected to the company and products. They also do great jobs in designing other materials like brochures, flyers, and catalogs, etc. Yulanto is a relatively new graphic design company in Chennai. They were established in 2010, but they have managed to emerge as one of the top design agencies in the city in a short time. They have ISO certification, and they mainly concentrate on the off-shore projects. Yulanto offers quality oriented services to its clients and follows innovative strategies in design to bring the best results. They design modern and elegant branding materials for companies to build a good brand identity. Blue Beam a creative ad agency in Chennai that helps companies to build artistic promotional materials. They give emphasis on classic artistic design. This company would be great for companies that are associated with classic, tradition, and archetypes. 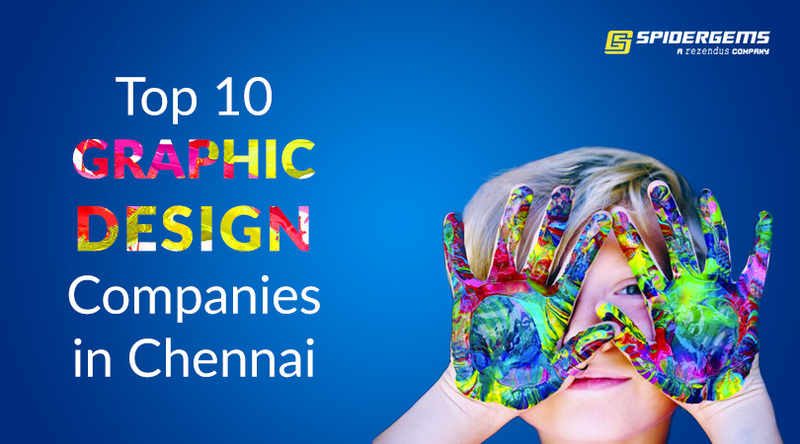 From this list of top 10 graphic designers in Chennai, you can choose one based on your budget and the style you want. Different companies have different style and you may want to choose one who have experience in doing similar works. You can check it by analyzing their portfolio. Good to know that there are these many graphic design companies available in Chennai, there is a scope for the students who finishes Graphic Design Courses in Chennai.